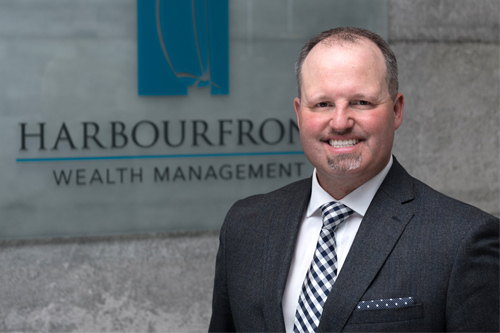 Embodying a philosophy of independent, unbiased advice has enabled Harbourfront Wealth Management to be nimble and adapt to market changes quicker than most. Portfolio manager Wes Ashton oversees a $330 million practice that deals mostly with business owners, professionals and retirees where the service level is high and personalised based on their specific needs. Ashton, who is also a partner at the firm, said: “We have a client-first mentality and we simply can’t operate freely and objectively at a bank-owned dealer or one of the other large conglomerates. We like to think we go above and beyond for our clients. “Our commitment to true wealth management provides our clients harmonized advice that strategically weaves defensive portfolio construction, lifestyle income audits, tax minimization planning, estate preservation, and trust management, all with a continuous focus on the management of risk. He told WP that nowhere is this more evident than with his team’s approach to alternative investments and the customized private debt pool, which he said was tailored to address the changing market conditions more efficiently than traditional financial institutions were able to do. As an example, Harbourfront owns Willoughby Asset Management, a Canadian asset management company which offers a number of unique investment products including alternative strategies. In February of 2018, Willoughby launched Canada’s first multi-strategy, multi-manager private debt and real estate pool which was designed to provide investors with an alternative to stocks and bonds and offset volatility in both markets. “Our clients crave stability and healthy yields, something traditional fixed income securities simply can’t offer” said Ashton. He also highlighted that major pension and endowment funds have been shifting away from traditional asset classes, such as “blue chip” stocks and publicly traded fixed income investments and instead are increasing weightings in alternative asset classes in order to reduce risk and provide more predictable returns. A good example of this is our very own Canadian Pension Plan (CPP). As outlined in the 2018 Annual Report, the weighting to alternative investments (real estate, infrastructure, private debt etc.) is currently 50% compared to just 4.3% in 2005. He said: “While alternative investments aren’t new, most of them aren’t structured in a retail friendly manner. They generally have liquidity issues, lack diversification as they concentrate on a single asset class, many of the providers are small or newer in the space etc. Structuring a customized fixed income alternative for clients isn’t the only way clients win by operating at an advisor-owned financial institution. “At our AGMs and other partners’ meetings, we have a seat at the table and influence the direction of the firm. We advisors make decisions together rather than having things announced. We have perhaps the best grid in the industry which we’ve never reduced, excellent technology, we issue annual dividends and see our equity value increase when new partners join. Most importantly, we have a culture like no other. That’s something I doubt exists at any other institution in Canada.